do anyone have a tappa recording of Pt. 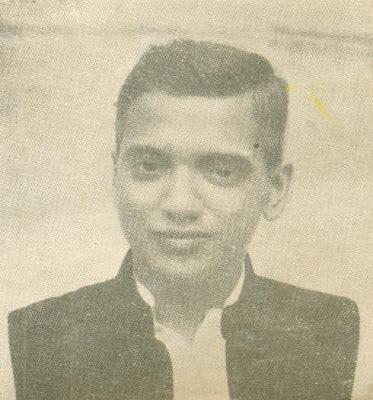 d. v. paluskar. and can someone help in finding out any tarana recording of him. how can it be possible that such a great vocalist and he never sung tappa & tarana, that too being a representative of GWALIOR gayaki of hindustani music. Very neat always in his gayaki. A great Master of Hindustani Classical Music, of whom we could not hear more for his short span of life. Undoubtedly the greatest Hindustani Classical singer of all times. The Gayaki of Paluskarji takes us to the highest level of eternal music which gives Darshan of Gandharvas. Very few singers moved me so much as Panditji. Tears rolled down my eyes when I read that he passed away at 34 No body can replace him. Has any of his son/daughter taken to music ? Panditji did not have any children. There is a song is Marathi “Jo avadato Sarwala tochi awade devala” Means the one who is liked by all is liked by the God and He takes him away. That is how D V Paluskar dies. He was a great devotee of Lord Rama.